Multioptic Drone uses drones to monitor the features of the territory and then transforms the acquired data into 3D maps and representations with a centimeter accuracy. Topographic surveys with drone allow you to make surveys in inaccessible areas and greatly reduce workflow times. In addition, it is possible to quickly monitor the changes in the territories subject to hydrogeological disruption and to determine their evolution quickly. 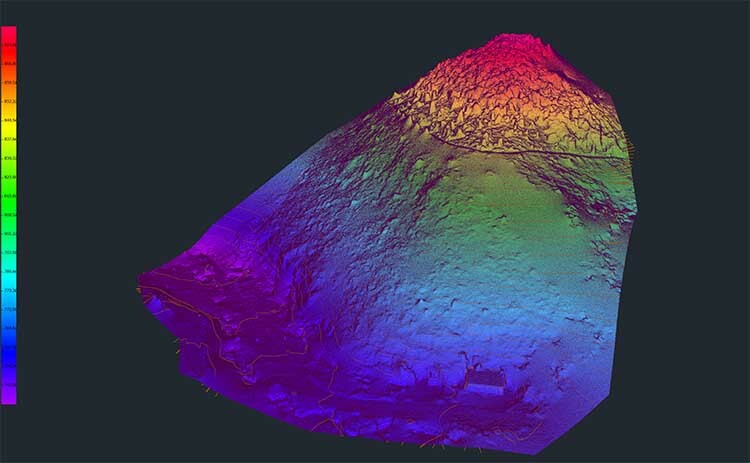 Multioptic Drone also offers top service on geological surveys of the territory. Our air services guarantee immediate intervention for the monitoring of hydrogeological disasters (due to landslides, floods, earthquakes and other disasters). An example of work in this area was the mapping of a rocky peak to the S.S. Salaria for the design of containment networks for the fall of boulders following the earthquake that struck the center of Italy in 2016-17. On a Multioptic Drone flight day, it was able to capture the affected area, and in two days of post-processing, thanks to powerful data processing workstation, it was able to provide a complete mapping of the site. Multioptic Drone can provide a constant monitoring service on areas subject to landslides and control erosion and movement of rocky and hilltop walls. An example is the aerial survey conducted in the San Bartolo Natural Park, between Fiorenzuola and Casteldimezzo, an itinerary that is constantly subjected to landslides and closures for the last seven years, and bad weather events during the winter 2014 – 15 blocked access to the sea, dragging the ground down. Point cloud and 3D model recostruction. Sites and archeological sites survey. Inert storage, landfill and mine survey.